One of the biggest factors driving an appreciating car market is nostalgia, and the ‘90s was chock full of car worthy of donning the proverbial rose-colored spectacles. Namely, this Toyota MR2 turbo that’s quite rare indeed and sure to pay for itself over time. 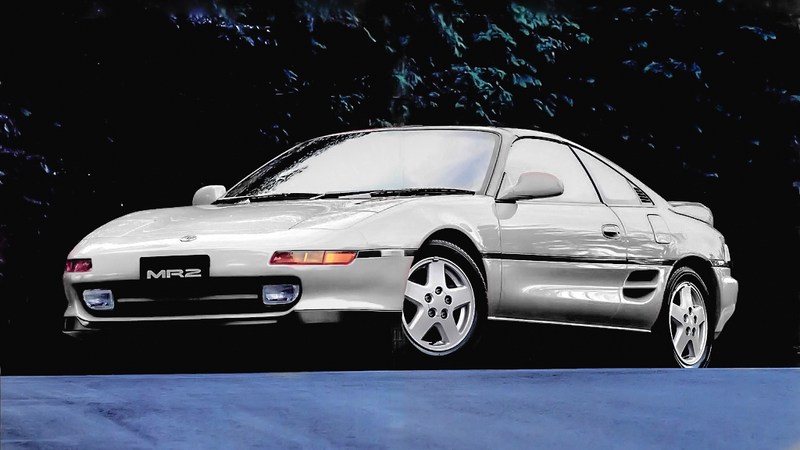 This 1993 Toyota MR2 Turbo is the car that proves Toyota was out for blood in the sports car wars of the ‘90s. Not only did they annihilate any competition with the firebreathing 3s-GTE engine, but they made this car light as anything else in Japan’s arsenal of quick cornering track rats. However, the biggest party trick is what happens when you pop open the engine bay and show people that the bulletproof engine sits behind the driver, like a miniature and reliable turbocharged Ferrari. For the way less than 5 figure price tag, you could either buy a salvage titled Ford Focus or this to drive every day, and I’m not sure why you’d pick anything else. This is a 2-owner adult driven/owned 1993 MR2 turbo from FLORIDA. Everything works on the car. The interior is in average overall shape. The dashboard is cracked as seen in the pics. Overall, the car drives well for it’s age. There are no clunks, rattles or squeaks. The paint is mostly original and faded in some spots as shown in the pictures. The areas of rust are superficial and not structurally rotten. The chassis is in very solid condition. This is the car to buy if you are looking for an unmolested MR2 to work on and rebuild. This MR2 benefits from all the upgrades of the 1993 model year. This is a car you just cannot find any more. I will be checking this car out because it’s dirt cheap, near me, and a turbocharged piece of ‘90s nostalgic goodness. There’s nothing not to like about this car, and while it may not reach stratospheric Supra levels in the market, it certainly will be a car that commands a premium in the coming years. Get this one before it becomes unobtanium. Seriously, don’t regret it.